Notes: Architect: Memorial Hall -- H.J. Schwarzmann. 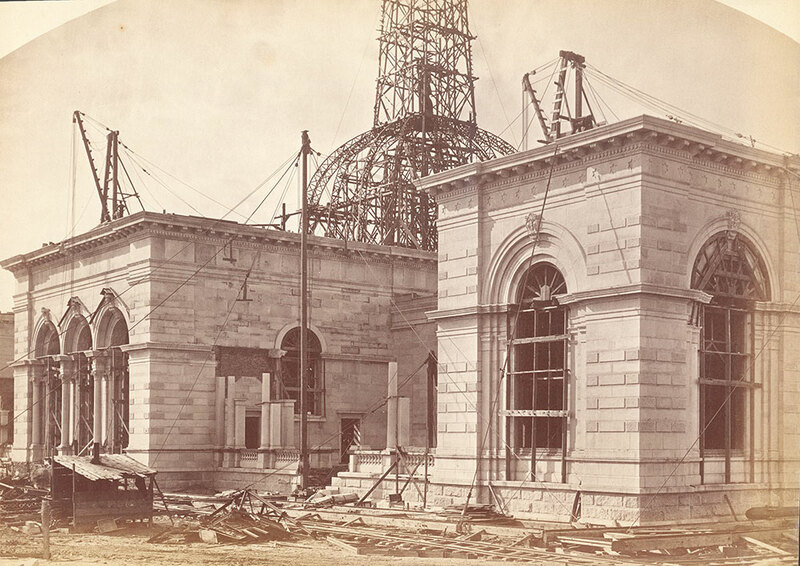 Notes: Exterior of Memorial Hall during construction. Stonework is almost complete, dome is incomplete. Railroad tracks in front and construction material.